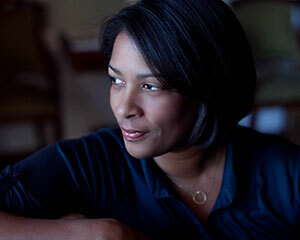 Lawyer-turned-filmmaker Dawn Porter will be the featured speaker at the Sam Houston State University Distinguished Lecturer Series presentation on April 1 in the Mafrige Auditorium of the Smith-Hutson Business Building. Her award-winning documentary, “Gideon’s Army,” will be shown in the auditorium at 2 p.m. prior to her lecture at 3:30. The event is free and open to the public. Porter directed and produced the documentary, which follows three young public defenders in the Deep South—at work and at home—during their daily mission to counsel hundreds of defendants through a system that seems more interested in having the defenders move their cases than providing their clients with justice. The documentary highlights the immense caseload of public defenders and shows their personal struggles, as they are low-paid and saddled with student loan debt. Often they are conflicted over the value of their work and the humanity of their clients. The film won the 2013 Sundance Editing Award and the Tribeca All Access Creative Promise Award and debuted on HBO Documentary Films in 2013. Porter, who is the founder of Trilogy Film, has been involved in such works as “Spies of Mississippi” (director/producer), “Serious Moonlight” (executive producer) starring Meg Ryan and Timothy Hutton, and “The Green” (executive producer) starring Cheyenne Jackson and Julia Ormond. Before becoming a filmmaker, Porter was the director of news standards and practices at ABC News and vice president of standards and practices at A&E Networks. She is a graduate of Swarthmore College and the Georgetown University Law Center. She was a practicing attorney at Baker & Hostetler and ABC Television Networks before beginning her television career.